Just think... Finally able to deliver high-quality, fully-branded sales and coupon circulars competitively, smartly and cost-effectively to virtually every mobile device on the planet. From a marketing and consumer standpoint, regular successful distribution of high-quality, fully-branded sales and coupon eCirculars immediately places your Boston local small business in the same standing as your much larger big-box corporate competitors. In terms of costs, use of technology as well as time and ROI value, your sales and coupon eCircular implementations actually places your Boston local neighborhood business a bit above even 'The Bigs'. Save costs? Compared to what 'The Bigs' pay, that would be a HUGE understatement. Think a minute about that ad mailer packet that's stuffed in your and your Boston local consumers' mailboxes each week. Each one of 'The Bigs' pay upwards of $25K each week in design, production and distribution costs to deliver their circulars to just over 1.2 million mailboxes in the Boston Total Market Coverage (TMC) area. In comparison, with BOSTON LOCAL, for the same cost of 'their' single-week distribution run, you can get about 6 months (24 weeks) of the same eCircular design, production and distribution to billions of mobile devices; except that YOUR Total market Coverage Area is... over 90% of this planet's consumer inhabitants all day, every day whenever consumers want it, need it or desire to share or social-share it with others. Whether reaching 1 or 10,000,000,001, thanks to 100% Mobile BOSTON LOCAL, your costs stay the same. We Do The Work! We'll take care of the design, layout, production and distribution work for you! You communicate your eCirculars specs and layout, submit your text and graphic assets, then either focus on serving customers and establishing relationships or spend a bit more time with family and friends. BOSTON LOCAL can effectively deliver your weekly sales and/or coupon eCirculars to virtually anyone and everyone WORLDWIDE. Once delivered, eCirculars also become extremely sticky brand-awareness and marketing tools by remaining at the virtual fingertips of consumers all day, every day whenever consumers want it, need it or desire to share or social-share it with others. Weekly Sales & Coupon eCirculars Publish in an Initial 12-unit Format. Additional Units May Be Added in Groups of 4. Publish 1 or 501 eCirculars. 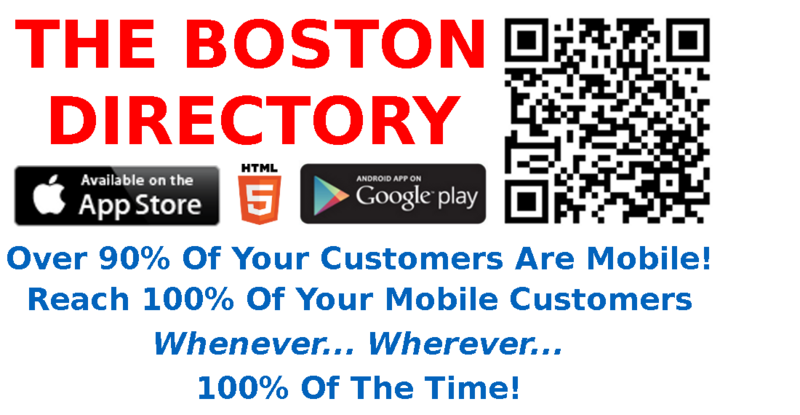 Simply displaying BOSTON LOCAL from their mobile device.